Howard Schultz’s first hot-button foray into Seattle civic life was not his disastrous ownership of the Seattle SuperSonics, but rather a dispute a decade prior over some landscaping renovations that the Starbucks president and CEO made on public park land. The old dispute, which divided the community and stretched on for years, stands in stark contrast to the “come together” theme Schultz is touting as he explores an independent campaign for the presidency focused on transcending partisanship. 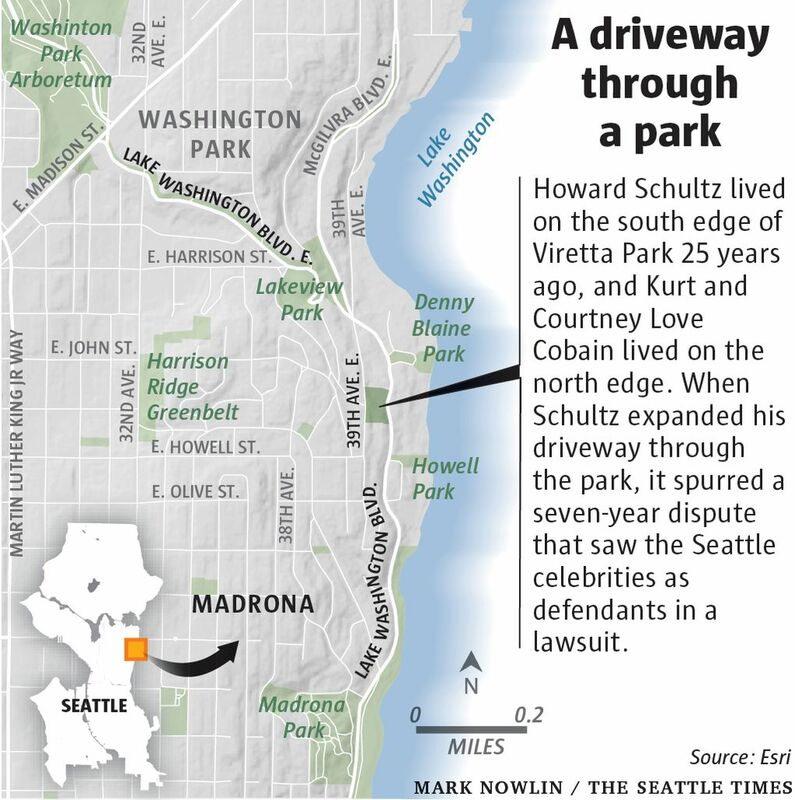 In 1991, Schultz and his wife, Sheri, bought property in the tony Denny-Blaine neighborhood, overlooking Lake Washington. They built a house, using the neighboring plot of land for construction staging. They widened their driveway, put in a couple new fences, modified a retaining wall and added shrubs and greenery. But the construction staging, the driveway, the other additions weren’t all on the Schultzes’ property. They were in neighboring Viretta Park, a two-tiered scrap of patchy grass and brambly ivy that had been a public park for nearly a century. The neighbors got mad and sued. The would-be joke became a dispute that lasted the better part of the decade. The lawsuit made its way to the state Supreme Court and led the city of Seattle to overhaul its policies for enforcing the boundaries of its 485 public parks. Neighbors accused the Schultzes of trying to turn public land into their own backyard. The Schultzes said they were harassed with anti-Semitic attacks and felt the need to hire security and rent a guard dog. Some 25 years later, with Schultz pondering a run for the presidency, the details of the Viretta Park dust-up are as arcane as the intricacies of Schultz’s stewardship of the Sonics, if far less impactful. And, like the Sonics saga, bad blood remains. Holly Miller was the director of Seattle Parks and Recreation at the time. She was also named in the lawsuit, which alleged that the department had violated its public trust by letting Schultz encroach on park land. Miller chalked the dispute up to old survey maps that conflicted with each other. Erin McPike, a Schultz spokeswoman, did not respond to questions about the old park dispute. 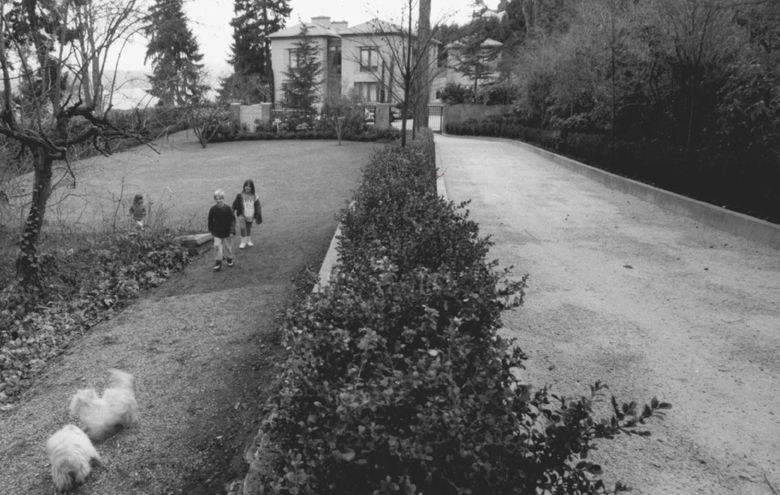 In 1991, the Schultzes bought and demolished a turn-of-the-century house with striking views of Lake Washington right next to Viretta Park. Before they started, they’d gotten permission from the city to redo the driveway and to use the upper half of the park as a staging area for a year and a half as they built a new house on their property. In exchange, the Schultzes were going to make some improvements to the park itself. Viretta Park has two sections, separated by an overgrown hill of ivy, ferns and towering fir trees. The lower section, right next to Cobain’s former house, is well-known for its two park benches, makeshift grafittied memorials to the late rock star. The upper section, next to the Schultz property, is a patch of grass, about the size of half a basketball court. The changes the Schultzes made to the upper section were much more extensive than what the parks department had approved. They’d replaced a mossy, weeded asphalt track with a crushed limestone driveway — 13 feet wide — that matched their new golden stucco house. They built fences and walls and made landscaping changes on park property. The Schultzes did make improvements to the park, but some saw nefarious intent. When neighbors objected, the parks department called for a public meeting for people to comment on the renovations to the park. The Schultzes claimed the parks department had pledged to deal with the situation privately. The public meeting led to some changes: The Schultzes were allowed to keep the driveway, but had to narrow it and remove a concrete retaining wall and other accouterments deemed too intrusive to the park. But before those changes went into effect, the neighbors sued, claiming that the Schultzes had no right to drive through the park and that the city had breached its duties by allowing the driveway through the park. About a month after the lawsuit was filed, a judge ruled that the estate of Kurt Cobain, who had killed himself just three weeks before, had to be listed as defendants as well. Cobain and Courtney Love Cobain lived on the north edge of Viretta Park (the Schultzes lived on the south edge) and their driveway was also partly on park land. Attorneys for the Schultzes and the city asked that Cobain be added as a defendant. 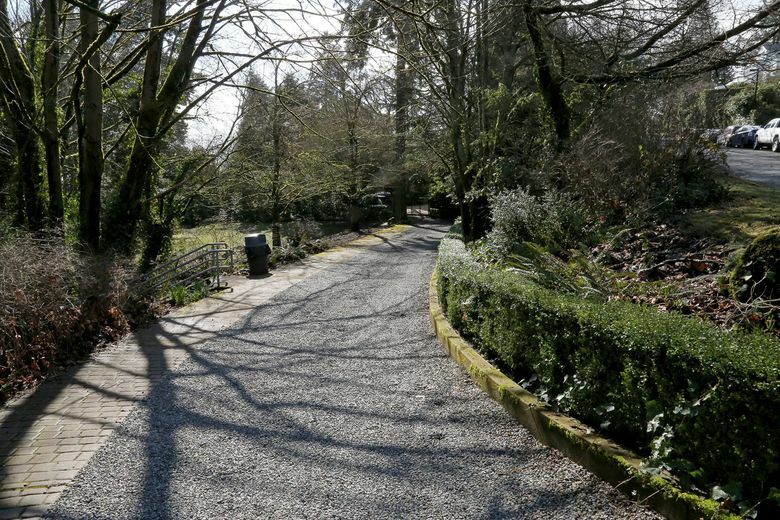 The group of neighbors won in King County Superior Court, which ordered the driveway closed to vehicle access, but let it stay open, pending appeal. The Schultzes won in the Court of Appeals, which looked at century-old maps to determine that vehicles had long used the track through the park. The maps showed that “the right of way is indisputably wide enough to accommodate the horse-drawn carriages that were predominant in Seattle in 1901,” the court wrote. In 1998, seven years after the Schultzes began construction and four years after the neighbors filed their lawsuit, the state Supreme Court turned down the neighbors’ appeal, ending the case. The driveway is now gravel — not crushed limestone — and has been reduced to a more modest 10.5 feet in width. Upper Viretta Park has a bench and a trash can and is quite clearly public. The dispute was a major headache for the city. It prompted a citywide review that found nearly 1,400 unpermitted fences, yards, gardens, decks and other private encroachments onto public park land. The city passed a new, stricter policy to deal with encroachments, which ended all unpermitted nonpark uses and required clear marking of boundaries. “We owe a debt of gratitude really to Viretta Park,” the parks department’s real-estate manager said at the time. Their new house, in a gated Madison Park community on the shore of Lake Washington, is valued at more than $30 million.